In a study released earlier this week, Canada’s budget overseer warned that the country’s cooling real estate sector will lead to a drastic drop in the number of new homes—which in turn will trigger a slowdown in residential investment that would hamper economic growth from 2018 to 2020. The Parliamentary Budget Officer said in its Tuesday (December 12) report that this development is a culmination of a trend that started in 2012, in which demand gradually outstripped supply. Approximately 198,900 homes will be completed in 2017, representing the peak of new housing construction. A rapid descent soon thereafter will bring this down to an average of around 170,900 units between 2019 and 2021, the Financial Post reported. The budget officer also predicted that housing will still manage to slightly boost national GDP in 2017 before beginning to drag down the economy by 0.2 per cent in 2018, 0.4 per cent in 2019, and 0.1 per cent in 2020. 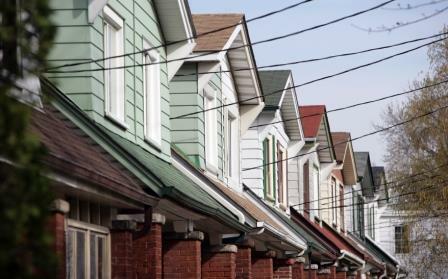 Real estate has long played a role in boosting Canada’s economy, but the recently introduced changes to federal rules governing mortgages will play a major role in diminishing demand for the country’s residential properties. While this is not yet apparent in Toronto (where housing sales numbers have reached record heights last month), Vancouver—which has seen some slowdown already due to B.C.’s 15 per cent property transfer tax on foreign buyers—has suffered a dramatic 37 per cent year-over-year decline in home sales in November.